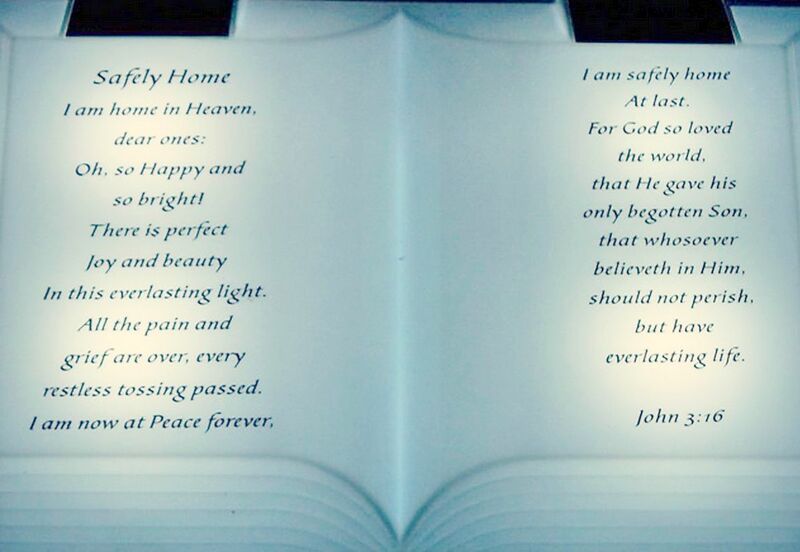 Add this safely home solar bible light to illuminate your loved ones gravesite, memorial or your home memorial garden. These solar bibles can add a centerpiece to your floral arrangements or displayed alone. This solar bible’s has great detail you can even see the pages edged on the bible. This solar bible comes complete with ground stake and batteries and is made to withstand most weather conditions. Floral arrangment not included.